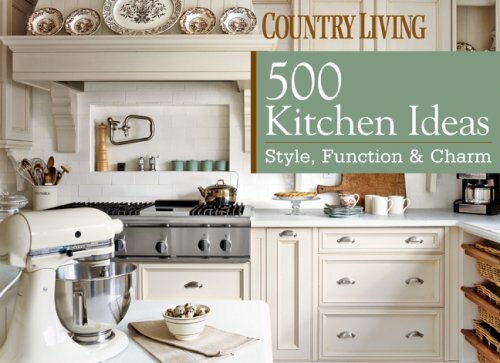 Country Living steps into the kitchen with 500 new and exciting ways to transform the heart of the home. Packed with winning photographs of warm and inviting rooms, this inspiring guide covers color and pattern, floors and walls, storage, appliances, sinks, work surfaces, windows and lighting, and other charming accessories. A stunning image accompanies every tip: see how a small kitchen becomes cozy when it’s filled with warm tones and natural materials; how a checkerboard backsplash brings black cabinets and white walls together; and how a modern refrigerator can work in a retro room—if it’s hidden by a rustic door. Mix surface styles, add an archway to create a separate eating area, and turn an antique cabinet into an attractive place to store and display dishware.